New Delhi: The National Real Estate Development Council (NAREDCO), the apex body of real estate sector, under the aegis of Ministry of Housing and Urban Poverty Alleviation, Government of India, has asked Government to introduce necessary reforms in the upcoming Union Budget to revive the troubled real estate sector in the country, which is facing slow down because of delayed and unsold properties. In its demand to the Government, the industry representative body has asked the government to award infrastructure status to housing sector, at least to cover low and MIG category housing units. Granting of infrastructure status to projects will attract large companies to the sector and inculcate corporate Governance. For the sake of convenience and uniformity in law, the ‘built up area’ in the Income Tax Act should be replaced by the ‘carpet area’ as defined in the Real Estate (Regulation and Development) Act 2016, said NAREDCO President Mr Praveen Jain. As the Government, is moving towards implementing the Goods and Services Tax (GST) in the country, NAREDCO has suggested that real estate should be brought under its purview merging all taxes, duties, charges, cess etc. viz., land use conversion charges (agriculture to non- agriculture and from one land use to other land use), development charges, and subsequent possession related charges (stamp duty, transfer duty, VAT, Service Tax etc.). This will put the sector on high growth path and will help achieve the target of building 2 crore housing units by year 2022 under the Pradhan Mantri Awaas Yojna. The industry body has also suggested a number of other taxation related incentives to embolden the purchasing power of buyers. NAREDCO’s memorandum suggested that the sealing of Rs. 1.5 lakh u/s 80C be increased to Rs. 2.5 lakh and Rs. 1 lakh out of that be exclusively reserved for payment of principal borrowed for the purchase of a residential house. This will help in boosting the housing stock as well as sales. It has also suggested, that the deduction on account of interest paid on home loans, under Section 24(b) should be made applicable from the year in which capital was borrowed, as for principal u/s 80C, and should be to the extent of full interest paid, at least in respect of one house. In case this is not agreed, at least the limit of Rs. 2 lakh should be raised to Rs. 3 lakh for owner occupied houses. Also, three years period for acquisition/completion from the year of borrowing should be dispensed with. This holds ground as a large number of projects are running behind the schedule post the global financial meltdown of 2008. Commenting on various tax rebates suggested for homebuyers, NAREDCO Chairman, Mr. Rajeev Talwar said, “Consumers are already burdened because of the problems of the industry. Supporting the Industry will help consumers indirectly. He opined that to boost savings and sales, it is important that Government looks at incentivising the consumers in all possible ways. Given the example of cities like Delhi and Mumbai where most houses are priced Rs 50 lakh and above, he felt that tax sops in the upcoming Union Budget should cover these segments also. To augument construction of rental housing, the apex body has also suggested that the deduction from rental income under Section 24(a) be increased from 30% to 100% to improve effective ROR from renting, at least till 2022, the year by which the target of “Housing for All” is to be achieved. This will help in promoting rental housing. 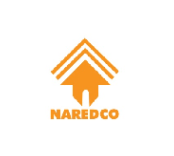 National Real Estate Development Council (NAREDCO), is the apex body of real estate sector, under the aegis of Ministry of Housing and Urban Poverty Alleviation, Govt. of India. Shri M Venkaiah Naidu, the Hon’ble Minister of Urban Development, Housing and Urban Poverty Alleviation, is its Chief Patron and six Joint Secretary level officers from Central Govt. and Central PSUs are on its Governing Board. Housing and Urban Development Corporation (HUDCO), National Housing Bank (NHB), National Building Construction Corporation (NBCC), DDA, LIC HFL, PNB HFL, HDFC, Cement Manufacturers Association besides leading developers like DLF, K Raheja, Hiranandani, Prestige, Shriram Properties, Tata Housing, Dewan Housing Finance, etc are the founders of NAREDCO. Objectives of NAREDCO interalia include promotion of housing and real estate sector in India and inculcate transparency and accountability for the benefit of the customers. NAREDCO and its State Chapters work in close cooperation with Central and State Govts. to achieve above objectives.